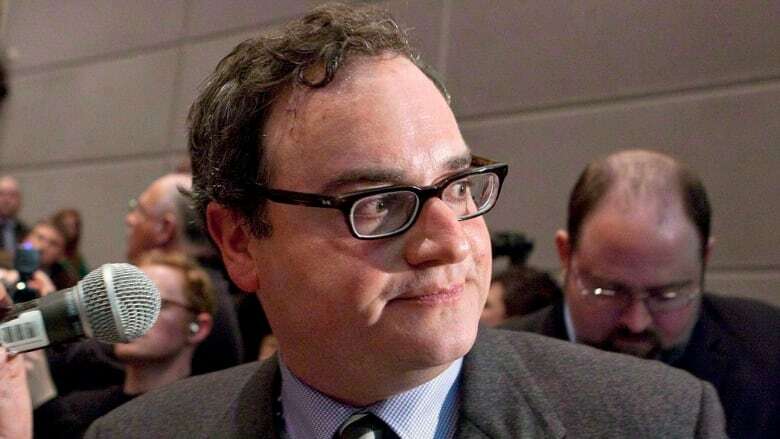 The Alberta NDP government has banned correspondents from The Rebel, a website owned and run by former Sun News commentator Ezra Levant, from government news conferences and media lockups because they "are not journalists." Alberta's NDP premier has asked a former journalist to review her government's media policies following public outcry over a ban of correspondents from The Rebel, a website owned and run by former Sun News commentator Ezra Levant. Premier Rachel Notley confirmed Tuesday that the review would be undertaken by Heather Boyd, the former Western Canada bureau chief for The Canadian Press. Boyd will take three weeks to examine "how this is dealt with in other jurisdictions, consult with the press gallery, to look at how we deal with new media participants and then we'll move forward with that on the base of those recommendations," Notley said. The conservative news site, which hasn't been shy in its criticism of Notley and her government, was sent a letter late last week from the Justice Department defending the ban. Notley's spokeswoman and communications director Cheryl Oates provided a written statement on Tuesday about the decision. "The government's position is that if you have testified under oath that you are not a journalist, then we don't consider you a journalist," she said. Oates's comment refers to testimony given by Levant in a libel suit in 2014. He told the court that he was a commentator and a pundit, not a reporter. Last week, The Rebel sent a letter to the government through Edmonton media lawyer Fred Kozak, outlining problems correspondents Holly Nicholas and Sheila Gunn Reid have encountered. The Justice Department responded to Kozak with a brief letter dated Feb. 12. "Our client's position remains that your client and those who identify as being connected to your client are not journalists and are not entitled to access media lockups or other such events," the department wrote. According to The Rebel, Nicholas was removed from a Calgary lockup for the royalty review. Lockups allow media access to embargoed documents and unattributed technical briefings from government experts. On Feb. 3, Rebel correspondent Reid was barred from covering a news conference at the Alberta Legislature with the premier and Prime Minister Justin Trudeau. Reid said security told her she was on a "no go" list. When she asked for more information, someone called the head of security, who ordered her to leave. Reid said she left peacefully but was never given a chance to ask why she was banned. "My job is to cover Alberta politics and give commentary on Alberta politics," she said. "And tell the stories of everyday Albertans — and sometimes that does, in fact, take me to the steps of the legislature. "Now I can't do my job because of what is obviously a problem with either my personal politics or the politics of my employer. Neither one of those is a reason to prohibit me from doing my job." Reid doesn't think a review of media policies is necessary because there has never been a problem before. "It's about The Rebel. The two-line response we got back from the Department of Justice was that nobody from The Rebel or associated with The Rebel would be considered journalists," Reid said. "We have a right to report on the government in the building that houses our democracy." MacEwan University journalism professor Brian Gorman said he isn't a fan of The Rebel, but agrees that governments shouldn't decide who gets to cover them. "It's a really dangerous precedent and makes me very, very nervous," he said. "I really hope that they reconsider. "I'd love to know what the thinking was. I mean, why they thought this was a good idea. That just baffles me." "It has long been the practice in Alberta that reporters and photographers who present their news credentials to legislature security can acquire visiting media passes to cover news conferences," he said in a written statement. "The press gallery supports the right of journalists to provide vigorous and diverse coverage of the Alberta Legislature." Manon Cornellier, president of the National Press Gallery on Parliament Hill, said decisions about who to accredit are made by her organization, not by the government of the day. Members of the Ottawa press gallery include newer digital outlets such as BuzzFeed, Vice and iPolitics, in addition to sites like Rabble and The Tyee that have ideological viewpoints. "We don't touch their opinion," she said. The dispute between Levant and the Alberta government may end up in a courtroom. Levant has set up a petition called "Notley is a bully" and is fundraising for future legal costs. "Unfortunately we have to sue the government," the site said. "We're not asking for money. We're asking for a judge to declare that what Notley is doing is illegal — it violates our constitutional freedom of the press."